Several months ago, I had the opportunity to give a co-lecture on the game That Dragon Cancer. At the time, our teaching team was a little more than midway through our course, entitled "Stories Everywhere," which is designed to introduce Stanford freshmen to crucial critical thinking skills by way (at least in our case) of a series of texts, films, and -- in this case -- games that reflect the ways in which humans seek to make sense of their lived experiences through narrative (this course is part of a series created and run by Stanford's Thinking Matters program). The game is a harrowing one to play, especially if you're particularly sensitive to stories about child illness and loss. It is also a nonfiction/autobiographic narrative. The creators, Ryan and Amy Green, starting working on this game after their son Joel was diagnosed with terminal cancer at 12 months of age. They worked on it throughout the remaining years of Joel's life (he was only expected to live for a few months after the initial diagnosis, but would remarkably go on to live for a little over four more years). It is, at heart, an exploration game -- one that invites you into a series of fourteen vignettes wherein you inhabit either a first or third person perspective. Players are guided from one scene to the next, but the simplicity of its form allows the game to harness degrees of affective power that are all but unmatched in the video game medium. 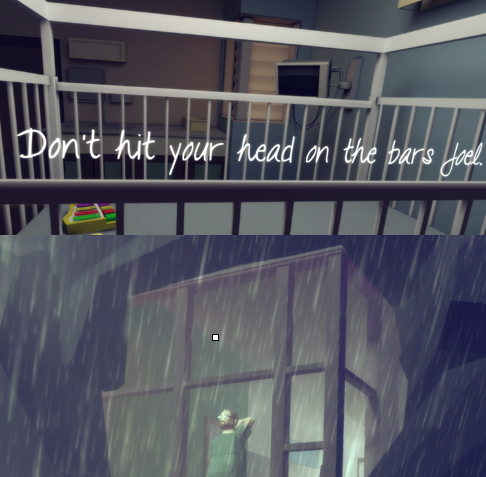 As many reviewers and players have observed, the game invites and requires players to inhabit the role of Joel's parents, experiencing a series of moments that are by turns sweet—helping Joel feed ducks, holding Joel while he sleeps (see image below)—and traumatizing, such as trying and failing to soothe a screaming, terminally sick child in the hospital room. That hospital scene, in fact, was the first vignette that Ryan Green ever created. He wanted to construct a scene that captured and helped explain the despair that a parent feels in those kinds of moments, and also his revelation that sometimes there is simply nothing that you can do. to soothe the screaming child (who is invisible) but nothing works. have to go back in the room though to keep vigil with him. The game is infused with abstract, symbolic imagery that requires you to engage in interpretive, gap-filling work as you move through the narrative. For as linear as it the game is in structure, the story is deeply fragmented -- as a player, you are invited to inhabit critical moments in the story, but you are always aware that there is a significant portion of the story that is being left untold. Compellingly, the faces of all the characters are blank, and this was -- according to Ryan -- both a result of the limitations of the small development team and a deliberate choice. They felt that in leaving the faces undistinguished, it would be easier for others to imagine themselves in the world of the game. It also occurred to me, as I listened to the podcast "The Cathedral" (it provides a goodly amount of backstory on the game's production and on the Greens’ story), played through the game, read additional interviews, and listened to Adam Johnson lecture on the mechanics of trauma narratives in our Stories course, that the creators may well have used abstraction and the vignette structure as a way of deliberately distancing themselves from the story. As Adam pointed out to our students, the telling of a trauma narrative *can* be a cathartic and healing one for the traumatized individual, but only under certain conditions that vary from person to person. The traumatized person, in other words, may feel a strong need to tell their story, but they must do so in a way that does them good instead of harm. Otherwise, story-telling becomes either damaging or downright impossible. 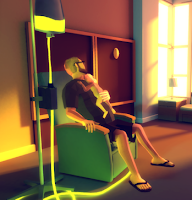 The abstraction, symbolic imagery, and even the shifts from first to third person, then, seem to be a way of creating just enough distance so that the creators could bear to tell the story of their son's battle with cancer and his eventual death. How could they have born the creative and development process, in other words, if they had forced themselves to stare at their son's face the entire time? 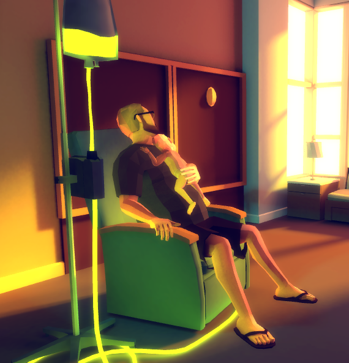 The motivations for the game evolved as Joel's treatment and prognosis evolved, and in the end (as recounted in the podcast) the family came to see That Dragon Cancer as Joel's memorial. So much so that they decided against purchasing a tombstone for Joel so that they could put that money towards the completion of the game (they were in desperate need of funds to complete it at the time of Joel's passing). 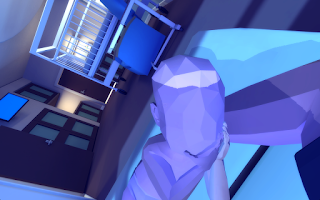 They decided that this game was the best way to honor Joel, and so the decision to memorialize him through this creative process (rather than through conventional means) was a natural and seamless one. 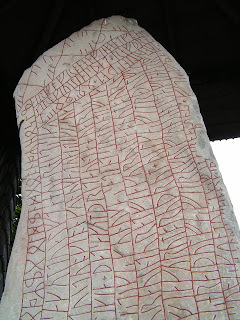 If this is the longest rune inscription ever found in stone, it must have taken its author a very long time to carve. Why didn't Varinn spend that time writing a straightforward narrative about how great Vämod was? Were riddles really the best he could think of to memorialize his slain son? "That's a very good question," he said. 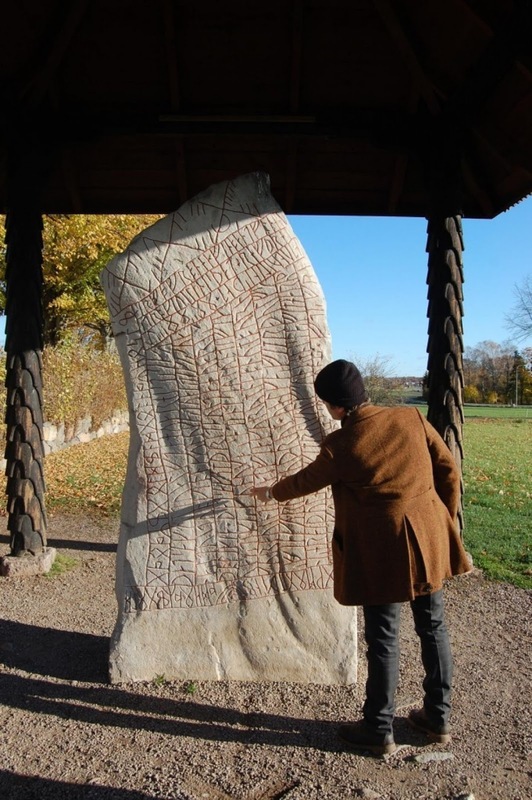 But here's his theory: "It's thanks to the technology of writing, Varinn, who erected the stone and inscribed it with runes, is able to keep us reading and keep us answering his riddles. And while we are doing this we are almost forced to commemorate his son." In other words, the stone is a celebration of how words can make someone immortal. A straightforward history of any sort would have placed Vämod and his whole world squarely in the past. But Varinn's riddles have held researchers in their thrall for more than a century — and, since Holmberg's theory is likely to be challenged, probably for many more years to come. "In Swedish, we have the phrase 'eternity machine,'" Holmberg mused. It's something akin to da Vinci's and Tesla's dream of perpetual motion — a hypothetical machine that would work indefinitely, driven by a power entirely its own. "This written text is like an eternity machine," he continued. "It keeps us reading. It keeps us commemorating." Fast forward to NCS 2017: London, where Randy Schiff gave a fantastic paper on Pearl in one of Kristi Castleberry’s and my Narrative Conduits session. He made a passing, but crucially important, observation that Pearl is—in so many ways—a deliberately difficult/challenging poem, and in that instant I was immediately reminded both of the Rök stone and of this game. I still have a lot of thinking to do on this, but Randy’s comment made me wonder: to what extent might we think of Pearl as a kind of eternity machine? If we ascribe to the theory that it was written by the author in memory of his (or a patron’s) dead child, then to what extent might we understand the luminous complexity of its verse in terms of this very impulse to memorialize? Put differently, to what extent does that luminous complexity and abstraction—that careful balance between affective involvement and constructed distance—serve as evidence that this is a poem inspired by profound (and, as Dan Kline has stressed so beautifully) deeply personal loss? With growing speed, global events are dismantling structures that we took for granted just months ago. This year in Brazil (recently identified with Russia, India, and China as an emerging economic power known as BRIC), the government and economy collapsed, a tragedy televised globally as the country frantically prepared to stage the "summer" Olympics and fought to limit the Zika outbreak. In late June, the Brexit vote began the process of unraveling ties between the UK and the rest of Europe, as well as exposing additional discontent within the European Union. Five days later, a bombing at Istanbul's Atatürk Airport killed 42 travelers. Then, on the last day of the NCS Congress in mid-July, we watched, first, the Turkish military's failed coup d'etat and, next, Erdoğan's more overt efforts to centralize power and strip Turkish citizens of rights that had hitherto been the hallmark of secular Turkey for nearly 100 years. None of these events are unrelated to our work as Chaucerians. All of us in London for the New Chaucer Society Congress witnessed the destabilizing results of the Brexit vote. The ties between the UK and the rest of Europe once taken for granted seemed to be quickly dissolving. One of the speakers on the Global Chaucers roundtable, José Francisco Botelho, Brazil’s award-winning translator of Chaucer and Shakespeare, had to bow out because Brazil's once enthusiastic support for scholarship dried up. And the Istanbul bombings of made the travel of one roundtable participant an act of stoic heroism; the difficulty of her travel was highlighted when she reached home only hours before the coup shut down international travel, and the difficulty of her position was further highlighted when Turkish educators became Erdoğan's latest target. I find these developments extraordinarily distressing. Just as we are opening up the field of Chaucer Studies to scholars, authors, and translators outside what can call the Anglophone alignment connecting Australasia, the United States, Canada, and the United Kingdom, events beyond our control threaten the easy commerce of ideas. The following comments are my contributions to a roundtable organized by Jeffrey Jerome Cohen, "Are We Dark Enough Yet? Pale Faces 2016." Drafted in late May when I had little notion of how events would unfold, I now share them with you with greater urgency than they were originally written. Also, because the panelists agreed the roundtable provided an excellent opportunity for developing a strategic plan, I close by sharing some concrete suggestions for including more Chaucerians from outside the Anglophone inner circle, suggestions I’ve gleaned from my conversations with those same Chaucerians. This jolly answer, however, is mitigated by a second characteristic joining this fellowship of Chaucer Studies: with few exceptions, membership requires training or positions at universities within what we can call the Anglophone alignment. This unifying characteristic means that our scholarship is not only conducted primarily in English but also conducted according to an accepted set of norms and assumptions. Once we recognize this particular restriction to active participation in Chaucer Studies, then we must answer the panel’s original question—“Are we dark enough yet?”—with “No.” Mindful of that second answer, I argue that we need to broaden the field of Chaucer scholarship to include Chaucerians trained or working outside the Anglophone alignment. In doing so, we can avoid some of the narrow-mindedness of Eurocentrism and recognize that “our” ownership of Chaucer is a cultural and political construction, not a natural inheritance. I come to these questions and my answers regarding diversity in Chaucer Studies through Global Chaucers, a collaborative project Jonathan Hsy and I initiated in 2012. What began as an effort to collect and study examples of post-1945 non-Anglophone appropriations and translations of Chaucer's The Canterbury Tales has transformed into a network of scholars, students, translators, and poets on six continents. (We still await collaborators from Antarctica.) Before Global Chaucers, Chaucerians outside the Anglophone alignment might attend NCS Congresses and some, such as Japanese and Western European scholars, might publish articles and books with mainstream Anglophone journals and presses. There were, however, few organized efforts to tap into the insights of those of the edges of the Anglophone inner circle. Without planning to, Global Chaucers has begun bringing in a wider range of global Chaucerians. Working together to better understand Chaucer's fourteenth-century texts, this twenty-first-century collective has given us new ways to interpret and appreciate The Canterbury Tales. In addition, this collective can reorient those of us coming to Chaucer and medieval literature from within the academy's Anglophone alignment by reminding of us of two cultural myths. The first myth is our direct connection to the British literary heritage. Though we might study this British heritage in the United States, Canada, and Australia as part of our national heritage, our apparent connection is a tenuous construction left over from nineteenth-century nationalist medievalism. The second myth considers the "Middle Ages" or the "Medieval" a universal phenomenon, a misguided perception that a global perspective quickly dispels. Global Chaucers helps expose the first myth: that Anglophone cultures are natural offshoots of British culture. 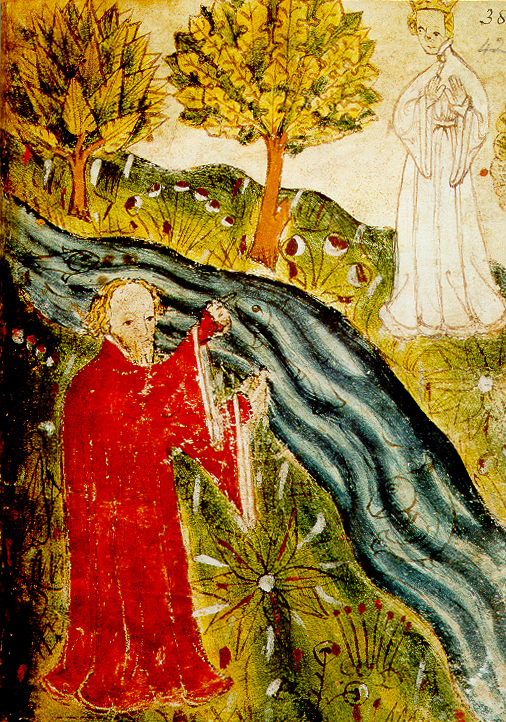 For centuries, Chaucer's reception was considered in terms of British poets and authors. Only in the past quarter century have we considered his artistic reception beyond the British Isles—or his popular reception anywhere. 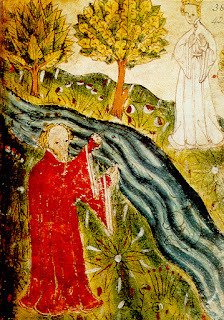 As we have learned from these newer studies of Chaucer's reception, the English literary tradition allowed some former colonies—Australasia, Canada, and the United States—to create an Anglophone alignment with the United Kingdom that not only pretended they shared a single cultural heritage but also erased the indigenous cultural legacies. This Anglophone alignment views the British Middle Ages not as alien to their actual, individual indigenous histories but as a seamless prelude to their colonial history. Here, British literary culture has been so acculturated as the natural source of all Anglophone literatures that Chaucer—not indigenous or migrant voices—becomes the father of each former colonial nation's literary culture. What had long been taken for granted as the natural order, we now see as highly cultivated and artificial. Conversely, this linguistic (as well as cultural and political) alignment has allowed us to consider ourselves an inner circle with exclusive rights to safeguard the Anglophone heritage. Though we've smuggled exclusive ownership of the British heritage to our distant shores, we have been less keen on listening to what others might say about Chaucer and his works. Global Chaucers also helps expose the second myth: that the temporality we call "medieval" is a universal phenomenon. Those of us coming to Chaucer from Anglophone cultures can easily miss how local this temporality is. Thinking about the global reception of Chaucer's The Canterbury Tales requires us to ask what it means for those outside western Europe to appropriate a medieval text. Though it's easy for the West (which does include the Anglophone alignment) to adopt the Middle Ages as our own, we cannot assume The Canterbury Tales neatly fits into every culture's sense of what was happening in the late-fourteenth century. Nadia Altschul puts it well with her contention that "the Middle Ages is not a global historical time…but a local European time span." According to this line of reasoning, the term "medieval" refers to people, places, texts, and artifacts associated with the European Middle Ages. Furthermore, “medievalism” or “medieval studies” refers to the reception of those same European Middle Ages. While this limitation might seem to privilege a Eurocentric vantage, in fact it de-centers the European model as the one by which the rest of the world’s cultures are understood. Indeed, by acknowledging that non-western cultures such as China and Persia have temporalities independent of Europe’s, we recognize that European history is not the measure to judge histories and cultures of other geographical regions. That Chaucer's reception in these non-European cultures must negotiate these multiple temporalities helps us recognize the many limitations inherent in the concept "medieval." Furthermore, at the same time our work with this global project has exposed some limitations in the ways we think about our relationship to him, his texts, and his world, Global Chaucers has also helped us re-orient the ways we read and interpret Chaucerian texts. Already we've begun this process via careful queries of Chaucer's non-Anglophone reception beyond the British Isles. We look outside the Anglophone alignment in order to understand the insights brought to medieval studies by a new breed of Chaucerians—translators who never considered themselves Chaucerians and scholars who have felt themselves shoved to the margins of Chaucerian research. Not only do translators and scholars with non-European linguistic and cultural heritages provide perspectives and knowledge otherwise unavailable to us, they remind us of the fruitful consequences of collaboration. For instance, none of us can master all the languages necessary to study the global reception of medieval texts and artifacts; however, by creating a network of scholars and translators, we can uncover exciting global exchanges, which will in turn help us understand how the European Middle Ages and their subsequence reception were shaped by a whirling circulation of languages and cultures. Despite their inadequate access to research materials and limited opportunities to participate in larger conversations, we have found these Chaucerians have much to teach us. If we want this larger, more global understanding of Chaucer’s reception and his texts, then we must be more sensitive to the extreme isolation, both geographical and institutional, under which these Chaucerians work. 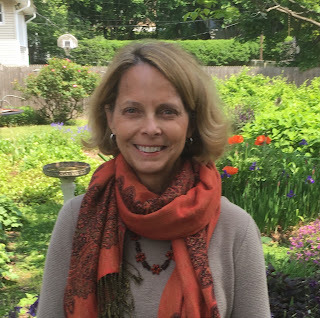 Because many of them teach English-language literature in small comparative literature or foreign language departments, these scholars are often the only ones at their universities working in medieval studies. Their resources are often minuscule, and they are often unfamiliar with publication practices inside the Anglophone alignment. They receive little mentoring, even less active sponsoring, and as a result can feel unwelcomed at our conferences and excluded from our publications. Not only are these Chaucerians and their contributions often invisible to the larger field of scholars, but, as the events in Turkey have illustrated, these Chaucerians are extremely vulnerable. At the 2016 NCS Congress, we saw important steps towards bringing these scholars and translators into a larger, more collaborative circle. I counted thirty slots (as either presenters or organizers) filled by members from outside the Anglophone axis. Of those, thirteen hailed from Western Europe (Netherlands, Spain, France, Switzerland, and Germany), four from Scandinavia (Denmark, Iceland, and Norway), and two from Eastern Europe (Poland). Of the remaining twelve, seven work in Asia (Singapore, Japan, and Taiwan), four in the Middle East (Turkey, Israel, and Kuwait), and one in Brazil (who was unable to attend after the Brazilian economy crashed this spring.) I also met additional scholars from Turkey and China who attended the conference but did not participate directly in the program. Each time I listened to them, I learned more about Chaucer and his global reception. 1. Rethink what we mean by scholarship by recognizing the value of translation and performance. 2. Offer to share copies of articles and book chapters otherwise unavailable to these Chaucerians. 3. Explore modes of scholarship more amenable to those with limited resources and different training. 4. Reinforce the value of reception studies and translation studies in journals and book series that we edit. 5. Seek scholars and teachers outside the inner-most circles; invite them to collaborate in publication projects and grant opportunities. These scholars and graduate students need more than mentoring—they need active sponsors. 6. Provide fellowships and other opportunities for scholars outside the inner-circles to study and interact with others. 7. Develop more open-access resources, such as the Open Access Companion to The Canterbury Tales. 8. Promote the Chaucer Bibliography, which has become more and more inclusive, thanks to the work of Mark Allen and Stephanie Amsler. I encourage you to institute and stabilize these and other modes of collaboration and support. Unfolding events have demonstrated the uncertainty of resources and remind us of the value in working together. I suspect the future will only confirm these lessons. David Matthews, The Making of Middle English, 1765-1910, Medieval Cultures (Minneapolis: University of Minnesota Press, 1999); Stephanie Trigg, Congenial Souls: Reading Chaucer from Medieval to Postmodern (Minneapolis, Minnesota: University of Minnesota Press, 2002). Nadia Altschul, “Transfer,” in Medievalism: Key Critical Terms, ed. Richard Utz and Elizabeth Emery (Rochester, NY: D. S. Brewer, 2014), 239. Candace Barrington, “Global Medievalism and Translation,” in Cambridge Companion to Medievalism, ed. Louise D’Arcens (Cambridge: Cambridge University Press, 2016), 195. Nadia Altschul, “On the Shores of Nationalism: Latin American Philology, Local Histories and Global Designs,” La Corónica 35, no. 2 (2007): 169.